Rent villas in Baan Taling Ngam, Koh Samui with private pools. Book affordable holiday rentals that are near a beach. Pool villa "Baan Suaan Bua" is set in a peaceful tropical area on the south of the Island. This fully serviced villa is close too not 1, but 3 beautiful, natural, idyllic beaches. 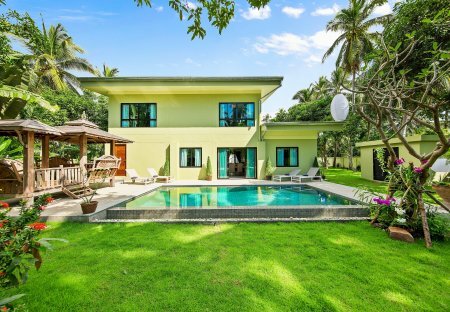 This 6 bedroom villa with swimming pool is located in Baan Taling Ngam and sleeps 15 people. It has WiFi, parking nearby and air conditioning. 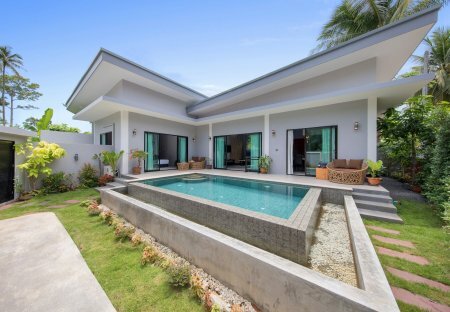 This 4 bedroom villa with swimming pool is located in Baan Taling Ngam and sleeps 8 people. It has WiFi, parking nearby and air conditioning. Spacious, tranquil villa built on an elevated position with stunning views and a wonderful cool breeze. Private infinity pool and side and rear sun terrace. Close to restaurant and bar.